Hello everyone, I’m back! Tracey and I had a good day hiking around Bear Mountain and staying the night at Beaver Pond, although I’m pretty worn out (I think I stained my right leg a bit and I got about 2 hours sleep last night). Still, the trails were pretty nice and I was able to find some mammal remains (one canine, one molar, one rib, one leg bone, and one jaw (with premolars and molars intact) from a small omnivore that I’ll look over in more detail later), so it was a pleasant trip overall. I did notice that the latest edition of The Boneyard did not go up yesterday as planned, however, and after I take a brief nap I’ll work on getting all the links together and posting it here. Although I don’t normally write as much over the weekend as I do during the week, Laelaps is going to be particularly bare this weekend. Tracey and I are going to be out camping, celebrating her birthday, but I’ll probably be back on Sunday afternoon (with plenty of new photos to share). Those are the ones I could find videos for at least. Believe it or not, there was a time when I’d play guitar and focus on writing songs more than I read science books (or any books), and even though I still pick up my telecaster every now and then, I’ve somewhat outgrown my indie rockstar dreams. Still, maybe someday I’ll record some of the old songs I have lying around (although some updates to the lyrics would definitely be needed), and if I can I’ll upload some of my old demos when I get the chance. It’s a little blurry (sorry) but the differences between it and adult sauropods are striking, and there is just so much to talk about that I should probably stop myself before I spoil too much of the upcoming work. A bit of a minor note (which I’m also late to the game with) about science & the media concerning Ben Stein’s upcoming propaganda piece “edutainment” Expelled; the New York Times recently came out with an article about the movie and the deceit involved in obtaining interviews from anti-creationism figures, and the author Corneila Dean writes something I’ve been wanting to see for a while. Part of the problem with science & media relations is that in many news outlets “objectivity” is placed in higher regard than actual understanding; if a new report comes out saying that there is new evidence showing global warming to be human-caused, for example, find someone from the other side to balance things out. Such journalistic tactics have their place and I don’t want to see science columns become dogmatic about legitimate controversies, but I don’t think there’s a need to “balance” established scientific reality with complaints from whomever can formulate a tenuous point of contention. Given such waffling on the part of many newspapers, I was glad to see a firmer stance taken in this article, although the last sentence didn’t quite sit right with me. Originally, the Earth was nothing but water and darkness. Mbombo, the white giant ruled over this chaos. One day, he felt a terrible pain in his stomach, and vomited the sun, the moon, and the stars. The sun shone fiercely and water steamed up in clouds. Gradually, the dry hills appeared. Mbombo vomited again, this time the trees came out of his stomach, and animals, and people , and many other things: the first woman, the leopard, the eagle, the anvil, monkey Fumu, the first man, the firmament, medicine, and lighting. Nchienge, the woman of the waters, lived in the East. She had a son, Woto, and a daughter, Labama. Woto was the first king of the Bakuba. Now, was anyone alive today present when the earth was formed to say that it wasn’t populated and given form by giant puke? Obviously the answer is no, but the evidence from geology, paleontology, chemistry, physics, history, etc. (and the absence of any evidence of a celestial giant with IBS) show that the events described above did not occur as they are described in Bakuba mythology. Bringing this back to the issue at hand, i.e. Young Earth Creationism from the Christian perspective, it has been long established that the two differing accounts of origins in Genesis are incorrect in terms of the origin of the earth and the life that inhabits it. I won’t get into the larger debate over whether the stories are allegory or what their origins are, but the Bible makes some specific claims about the way nature works that are inconsistent with the weight of evidence gleaned from nature. 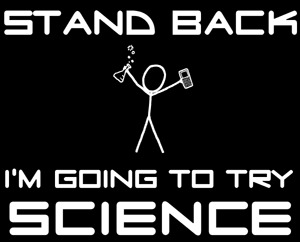 I don’t intend to turn this post into a long treatise on the intersection of science and religion, but the idea that we can keep science and religion sequestered from each other, giving each an intellectual domain to “rule” over, doesn’t work in the long run. Perhaps it can be done, and in fact I know people who have professed that they have taken such a route, but it often requires the qualification of “I do not think about things I do not think about.” I should probably clarify my own intent for writing this article as well, and it is simply this; science and religion do conflict with each other, and although this may seem to be an obvious point, it is often glossed over or put aside for the sake of comfort. Is it possible to be religious and agree that modern scientific concepts are correct (or at least are the best approximations of reality as yet discovered)? Of course, and I know there are many readers here who blog about just that topic in order to better represent those standpoints. Those positions, however, often differ substantially from the viewpoints of other members of the same religion and conflict abound no matter where one falls on the scientific/religious spectrum. Still, what I am proposing is that those invested in this debate stop ignoring the conflict and deal with the strained relationship between religion and science in a more direct manner, as I think we can only benefit by dropping the tattered NOMA flag. The amount of reading I normally am able to get accomplished has suffered greatly this week; I’ve read bits and pieces of a few different books but I haven’t been able to rip through works at my usual pace. This is probably just as well, however, as many of the books I was reading were more important to me in a historical sense (understanding what scientists thought about paleontology in the past), and most of the information was already familiar. Then, yesterday afternoon, Phil Currie/Kevin Padian’s Encyclopedia of Dinosaurs arrived, and it’s proven to be a very refreshing read. As is apparent to many readers of this blog, I definitely need to work on my anatomical understanding of dinosaurs (and tetrapods in general), and I have been learning a lot from what I was able to read last night (I read all the entries for “A” and “B”). Some of the entries are fairly technical and proved how much I still have to learn (like Currie’s entry on braincases), but others were more plainly written and I had a lot of “Aha! So that’s what that is” sort of moments. Such an entry was John Hutchinson and Kevin Padian’s entry for the clade Arctometatarsalia, and I definitely came away that entry with a more refined understanding of the arrangement of metatarsals and ankles in theropods. Spencer Lucas’ entry on Biostratigraphy was also very helpful, and so clearly written that I think nearly any reader would be able to understand it. Given that the book is a amalgamation of work from various researchers and authorities, some entries are a little better than others, although so far I don’t have much to complain about. 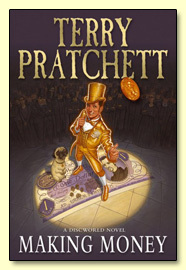 I know the book is a little dated (1997), but I’ve tried to keep recent changes I know of in mind as I read along. Although I am learning more about anatomy slowly but surely, I know that I’m now at the point where I really do have to get a textbook or other resource on skeletal anatomy (and I’m still waiting for the day when I can afford to purchase Romer’s Osteology of the Reptiles). Still, as I noted before, it’s refreshing to dive into a more technical scientific work and be able to get something out of it, and even though it might seem like a Herculean task I’m going to try and read the encyclopedia from cover-to-cover. 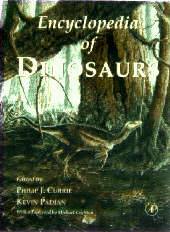 After that I’ll probably take a “break” with something shorter, but I also want to try and read the whole of the 2nd edition of The Dinosauria, being that I’ve only been referring to it now and again when necessary. Once I’ve been able to do those maybe I’ll be able to move on to Gould’s 2,000+ page The Structure of Evolutionary Theory, but that might have to wait until winter break. Of course I’m saying all this now, not knowing what my life will be like in the coming weeks and months, but I think that I can do it (and I think I’ll greatly benefit from such an undertaking). The more I learn, the more I get sucked in, and I’m trying to teach myself as best as I possibly can. I’ll be away for much of this weekend as well, my wife’s birthing falling on the 30th, and her chosen activity being camping up in New York. I’ll still write today and on Sunday when I get back, but on Saturday I belong to Tracey. There will still be plenty to enjoy in terms of paleo-blogging, however, with The Boneyard coming up at Fish Feet tomorrow, although I’m hoping my recent reading will help me in construction a better juvenile sauropod post when I get back.